LX16 product provides time and attendance system with fingerprint technology. 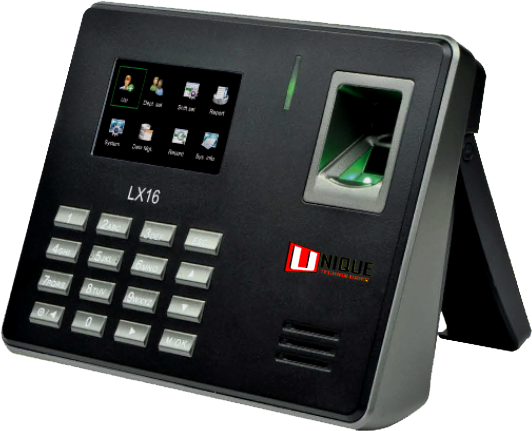 It can store upto 500 fingerprints and total transaction storage capacity is 50,000. it is included with standard functions like scheduler bell and SSR recorder. It can communicate very efficiently with the help of USB port provided and data easily can be transferred into system.